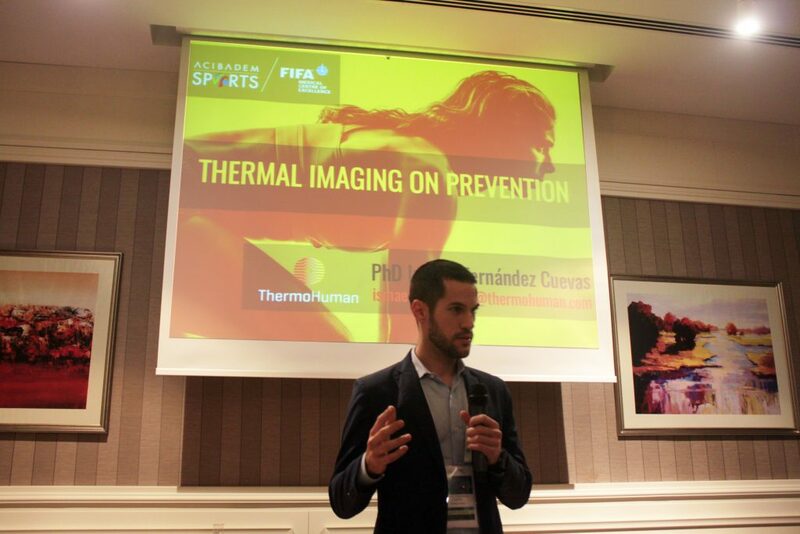 ThermoHuman was invited to the First Acibadem Sports International Conference on Football Science celebrated in Antalya (Turkey) during the first week of January 2016. Prestigious professionals from FC Barcelona, AC Milan, Manchester United, Spanish Football National Team, Sevilla and Oporto among others were sharing different lectures about sports science in football. Likewise ThermoHuman presented his technology and cloud software for the automatic recognition of the human body regions of interest to detect thermal asymmetries. Another cutting-edge companies of the sports science sector were in Antalya like Prozone, Catapult, TMG, Podoactiva, Xsens and Nordboard. The event had both theoretical lectures as well as practical workshops where the participants had the opportunity to experience the latests technologies for high performance improvement, injury prevention and match analysis. We are sure that the Acibadem Sports International Congress will be an unmissable event during the next years.